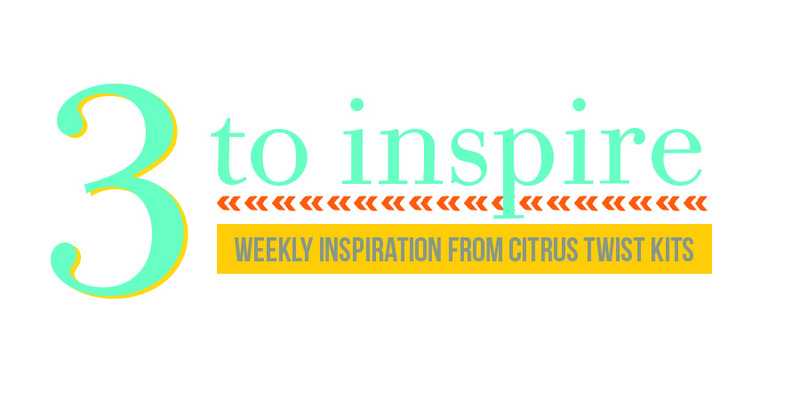 Hi friends, Tara here with another "3 to Inspire" challenge for you. 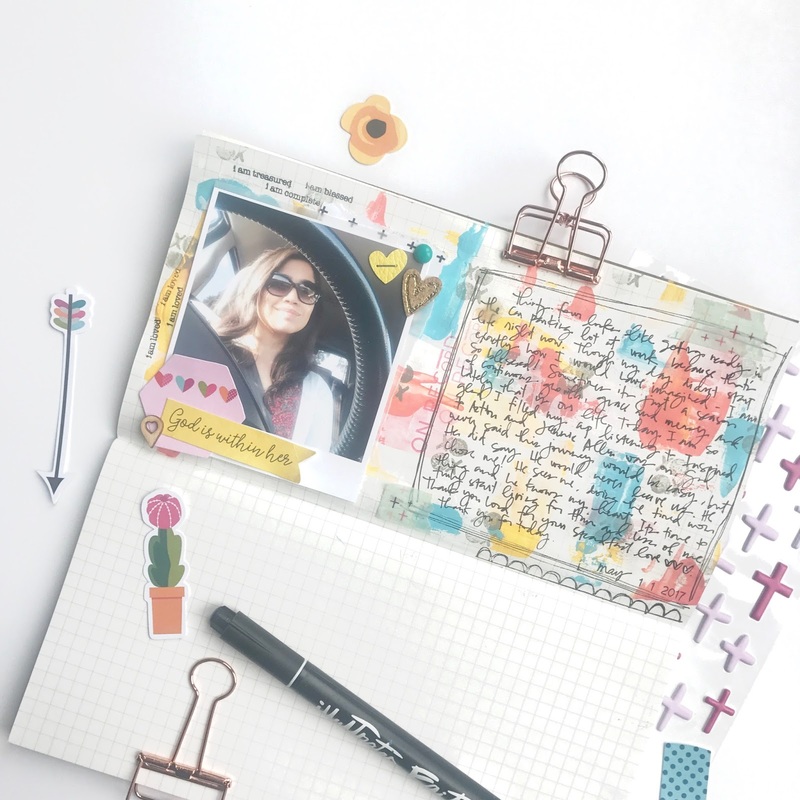 You can find this challenge here every Saturday for those who need a little extra creative push to get scrapbooking, keep scrapbooking or for those who just like a challenge! 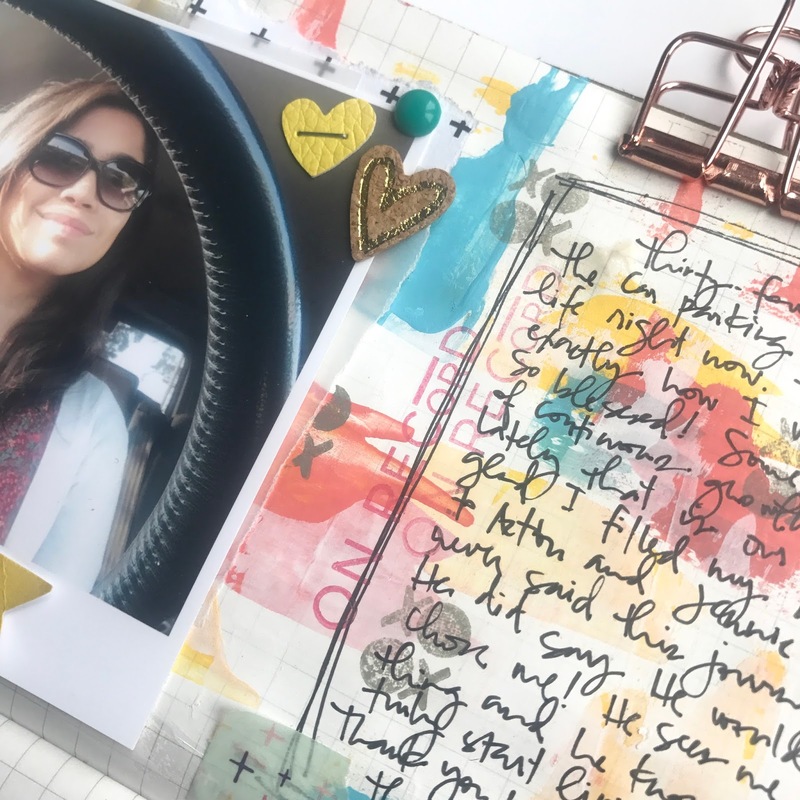 Don't forget to read through the end to see how you can enter to win some Happy Mail. I recently celebrated my birthday last month. I had some goals I wanted to achieve before this birthday and I realized I haven't reached any of them!!! Instead of beating myself up and feeling sorry for myself, I took this birthday as an opportunity to start fresh. We are always so hard on ourselves and this year I am practicing more self-love. I took this as a great opportunity to share that in my spread here. I really wanted to work more with some mixed media and decided to break out my acrylic paints that have been sitting barely used. I started with a layer of white Gesso smeared on the page. Then I alternated using blue, coral, and yellow paints on a gift card to get the little smears. I went vertical and horizontal for a more messy, but colorful look. I wanted to tone it down a bit so I added a light layer of Gesso again. Then one more layer in a few places of the three paints. I made sure to use my heat tool (you can use a hair dryer too) to dry each layer. at first I wasn't sure if I would love it but in the end it was just perfect!! 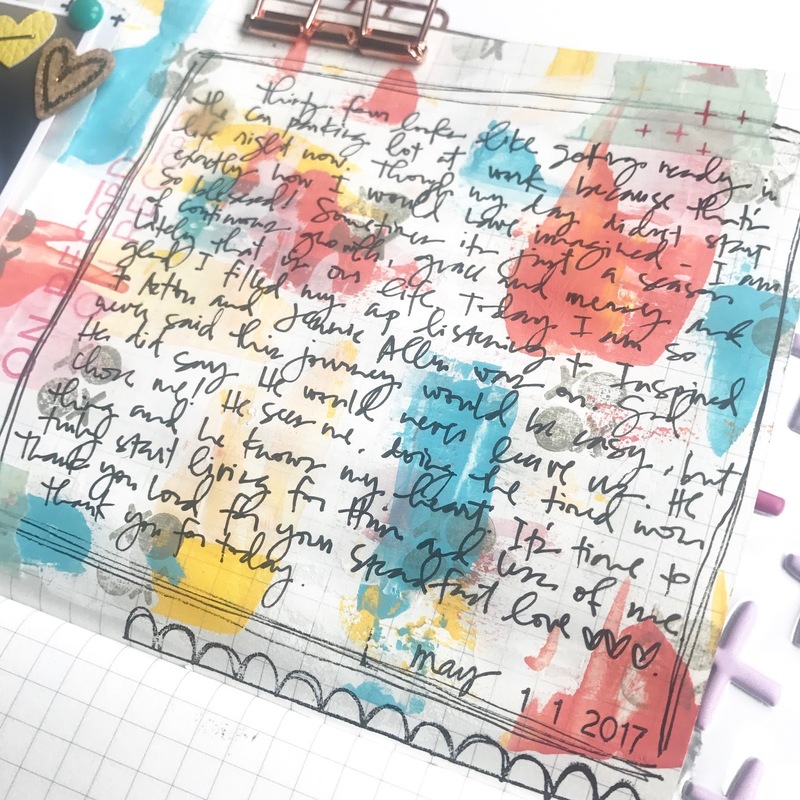 I then added my stamping background using the "XOXO" sentiment from the June GraceBox kit. I wanted to make sure it had the stamp throughout so I stamped around my photo that I already glued down. I love all the little sentiments in the kit. I added some of the die cuts and a sticker from the kit, as well as an old wood chip piece I had from a previous kit. Here is a closer look at my journaling. 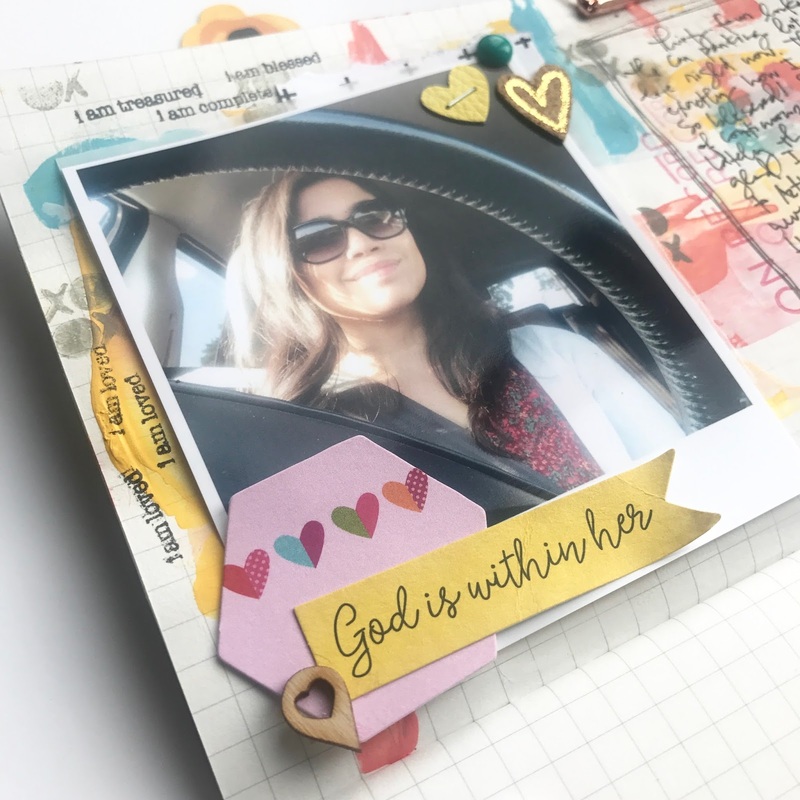 I used the washi sample included in the GraceBox kit and the scallop stamp from the Scripture Doodles stamp set. I also drew a box around my journaling. I really love how well the Illustrated Faith pens work on top of mixed media. They are truly the best ever. I'm completely smitten with the gold and cork hearts in the Sprinkles kit this month - I wish I had a lot of extras for my stash! I used one of the heart leatherette stickers I had left over from a kit and added a homemade enamel dot. There is a little bit of light layering with vellum and a bit of the Elle's Studio paper from the June 'Boardwalk' PL kit. I also used the fun "On Record" stamp from the Boardwalk kit. I know I"ll be using that stamp a lot. I love the font so much! Now it's your turn! 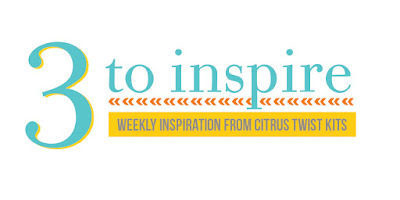 To play along, simply create a project (scrapbooking, pocket life, bible journaling, etc) using this week's prompts. Upload it to the Gallery with today's date (6/3) in the title, and you will be eligible to win some Happy Mail from the CTK store. I can't wait to see what you create. A mini-album with the Pocket Life Kits! Let's Get Digital -- With Andrea!